Shem Creek is located in the heart of Mount Pleasant, South Carolina. It is surrounded by several amazing restaurants, bars, and the quaint Shem Creek Inn. The unique thing about this place is that one can simply dock their boat here and step on to the dock to access the bars and restaurants. Shem Creek is the gateway for several fishing boat companies that still use it even though the industry has floundered. It is still a great reminder of this areas past. Shem Creek remains a favorite watering hole for tourists and locals alike. This is also a favorite area frequented by dolphins and manatees. 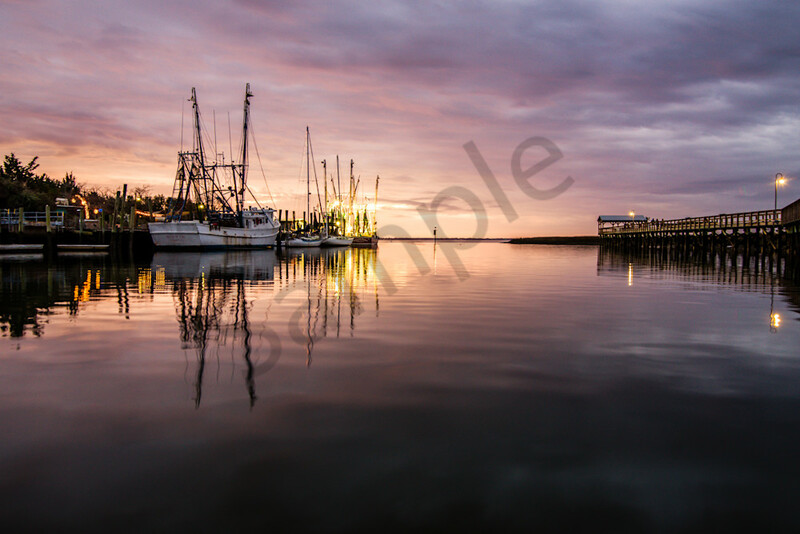 A fine art photograph of Shem Creek at sunset is a fine compliment for someone who seeks a magical wonder.